Oculus Rift, and the technology behind its virtual reality display, was featured in several places at CES 2015, including their own booth, along with partnering with Intel to showcase its RealSense technology. We had a chance to try out Oculus at Intel’s booth and were impressed by how comfortable it is to wear and the display itself, especially when partnered with Intel RealSense. 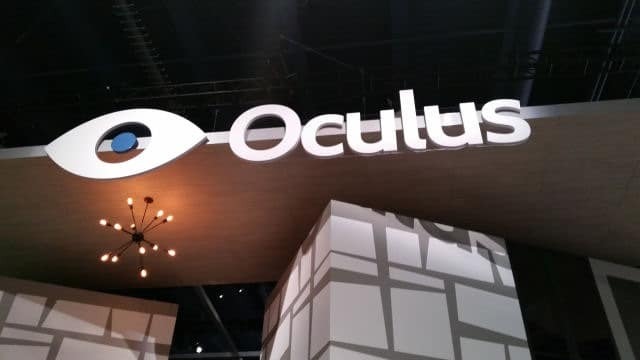 Let’s look at Oculus Rift and how it’ll effect the future of virtual reality displays, a hot topic at CES 2015. Oculus Rift is a virtual reality display that you wear, developed by Oculus VR. Oculus VR raised more than $2 million for the development of the Rift head-mounted display and should hopefully be available sometime in the fall of 2015 for consumer purchase. Facebook acquired Oculus VR in the spring of 2014, funneling a large amount of cash into the development and roll out of the display to consumers. The Oculus Rift display is meant to open up the Virtual Reality world to the average consumer. At the moment, Rift has primarily been used by game designers to create a 3D world for consumers to enjoy, play and explore. Team Fortress 2 was one of the first major titles to come to Rift, followed by Museum of the Microstar, Half-Life 2 and Hawken. Vireo Perception has worked to bring open source games to Oculus, including partial support for Left 4 Dead, BioShock and Skyrim. There will be other uses for Oculus, too, and as more developments take advantage of the Kickstarter-funded development kits, it’s only a matter of time before we see more practical uses come to Rift. What Can You Expect from Oculus Rift? Oculus strives to make Rift affordable to the average consumer, but no price point has been released yet to illustrate whether how feasible that’ll be. Right now, the Oculus Rift Development Kit 2 is currently $350 through Oculus VR. 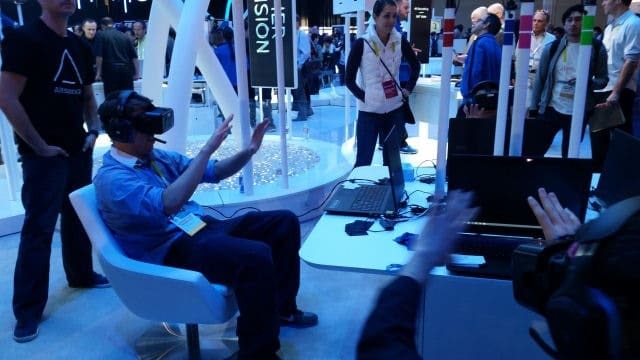 At CES 2015, I had the opportunity to try Oculus Rift fused with Intel RealSense technology. Intel’s RealSense technology is all about immersing the human experience into the virtual reality world. By using gesture control, you can play games with your hands, open apps with facial movements and much, much more. 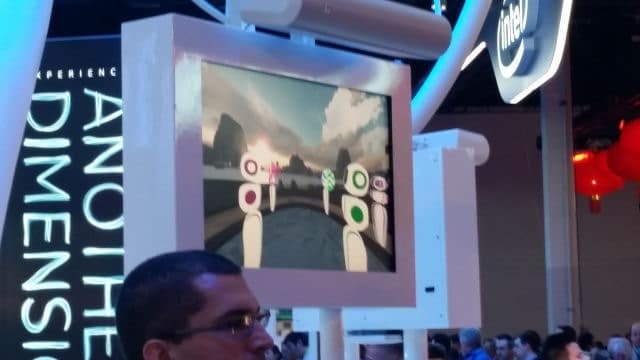 Intel teamed up with AltspaceVR to create a virtual reality experience for users, taking advantage of the Oculus Rift display, to showcase just what RealSense can do. I tested this technology, and have to say, it was most impressive. Four of us at a time sat down, put on Oculus Rift, and interacted with an AltspaceVR team member in California through a virtual world. While in the VR world, the five of us could play a game of volleyball with RealSense allowing us to throw the ball around to one another, talk to each other and look around at the world created for the demo. We were able to talk with one another via headset, in addition to wearing the Oculus DK2, but we were also to do so much more. When paired with Intel’s RealSense technology, we were able to wave and use our hands to physically interact with those in the VR world. This opens up the doors to all sorts of social communication within VR space going forward, which is huge. 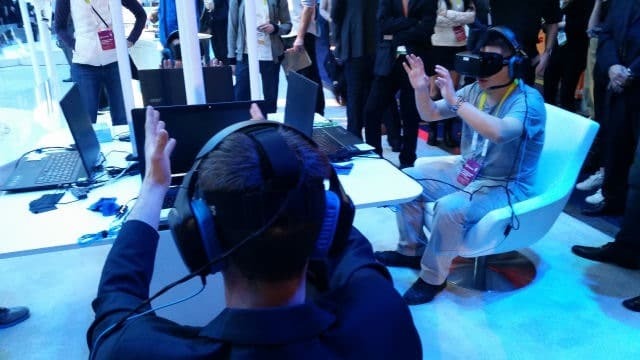 As you’ll see from the pictures, you may look a little silly utilizing RealSense technology this way, but in the end, the process will become more natural and integrated as VR tech moves forward. 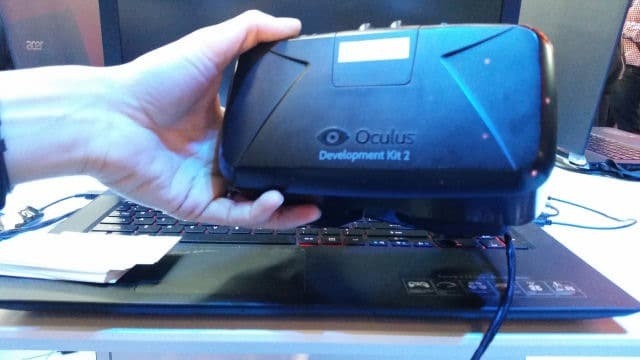 For me, the coolest thing about testing out RealSense technology this was to see how practical Oculus Rift could be for those who may not utilize it strictly for gaming. In order to create a true VR experience, you need to be able to interact with others, and AltspaceVR put together a brilliant two-minute demo of just that. I loved that I could talk to someone from California on the device, then play a game with those sitting not two feet away from me, also talking with them. It was fun to see all three companies work together to make this demo possible. When companies work together, amazing things happen and that’s what you saw from Intel, Oculus and AltspaceVR at CES 2015. By bringing together the social aspects of VR, and highlighting how they work through Oculus, I think most of us saw a much better use for VR displays than just gaming. VR and augmented reality (AR) headsets can bring people closer together, make life easier and help make things a bit more interesting in the future.